Form 5500 Schedule Mistakes: Can They Lead to A DOL Audit? 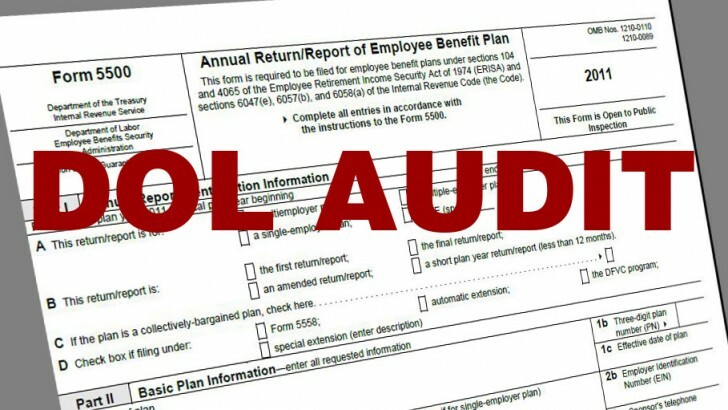 Can A Wrong Form 5500 Schedule Lead to A DOL Audit? Have you ever hit “send” on an email before it was finished? Even worse, was it a “reply all”? I have. It was a total accident and boy was I embarrassed. After a bunch of apologizes (by me) and some razzing by my office (deserved), I learned a valuable lesson… Again. In just about everything you do, you need to do a double check. Now picture this: you’re feverishly working to wrap up preparing your annual Form 5500’s in order to meet your ERISA compliance requirements. You received a bunch information from your carriers and TPA’s that’s supposed to go on your Form 5500 Schedule A’s and/or Schedule C’s. You know it should be reviewed but, to be sure it’s all accurate, what should you check? What exactly did they send you and where did the data come from? Even more important, if it’s wrong, could you be audited and penalized? Every year, thousands of plan sponsors receive notice that they’re going to have a DOL audit. These audits are triggered for a variety of reasons, but often it’s the detection of a red flag on an incorrectly filed Form 5500 schedule. Further evidence of the DOL’s possible desire to capitalize on these mistakes comes from a 2012 analysis by Deloitte Consulting for the U.S. Department of Labor. This analysis found nearly 22% of health & welfare Form 5500’s had discrepancies when referenced against the filing’s various Schedules. While there isn’t a bullet-proof way to know exactly what might trigger a DOL audit of your plans, we’ve put together a quick list of things to review – not just from the main filing – but from each Form 5500 schedule as well. Is it the data for the correct employer & policy/group? As unbelievable as it sounds, I’ve seen more than my fair share of carriers and TPAs inadvertently mix-up data from one group with another. Carriers and TPAs often have hundreds if not thousands of clients they manage benefits for. Depending on the sophistication of their systems, when they receive a Form 5500 schedule data request, it might be a manual process to pull the necessary headcount and financial data out of their systems. As we see more brokers and consultants prepare their clients’ Form 5500 Schedule A’s and C’s, it’s always a good idea to double check and review the original correspondence from the carrier or TPA to ensure the data matches the correct group and policy number to avoid a data mix-up. The obvious risk here is that if the data was for the wrong group, everything about the Form 5500 schedule will be wrong. ERISA Reporting Year vs. Policy/Contract Year: Is the data for the right time-frame? There is an important distinction between an ERISA plan and an insurance policy. One crucial difference is that the annual renewal timeframe of an insurance policy/contract (policy/contract year) can be very different from the definition of the ERISA Plan Year. For example, you might have a policy/contract that is effective from January 1st until December 31st however, the ERISA plan year could be from July 1st to June 30th. This could cause more than one policy year to overlap the ERISA Plan Year. Why is this important? Because when requesting Form 5500 schedule data from the carrier/TPA, without specifying the timeframe, they will typically provide it based on their definition of “policy/contract year”. A very common mistake with “off-plan year” policies/contracts is to mismatch the ERISA Plan Year data on the Form 5500 with the data on the Form 5500 Schedule A or C.
When preparing an annual Form 5500 schedule it should accurately reflect the period the data is for. Another area that needs to be double checked is participant headcounts. Often, the carrier/TPA will just do a tally on all of their members (or subscribers), which include additional family members. However, because the Form 5500 Schedule A also asks for number of persons covered, it leaves room for a reporting variation that could raise a red flag. Additionally, it’s critical to ensure you don’t list an implausible number of participants (or even mistakenly forget to list the total number of participants) on Line 6 of the main Form 5500 filing. The takeaway here is to review what’s previously been included on your Form 5500 filings and be consistent or file an amended 5500 correcting previous mistakes. Section 8 of the Form 5500 Schedule A’s asks to identify the type of benefit contract based on a list of common benefits. It’s critical that there is a correlation to the type of benefit plan(s) listed on Section 8(b) of the main Form 5500. Section 1253 of the Affordable Care Act mandates that the Secretary of Labor use Form 5500 data to prepare aggregate annual reports with general information on self-insured group health plans. If the DOL identifies an anomaly between the main Form 5500 and the various Schedule(s) it could lead to an investigation (audit) to determine if the plan is truly fully-insured, self-funded or mixed. Section 9 of the main Form 5500 asks for funding and benefit arrangements. Depending on the funding type, many filings either miss including the various Schedules or include Schedules with missing (blank) benefit types listed. For example, if “insurance” or “insurance contracts” are checked, then there should be one or more Form 5500 Schedule A’s included with the complete filing. Similarly, if the boxes for “trust” or “general assets of the sponsor” are checked, then Schedules H or I are necessary. Even more problematic is the scenario where the main Form 5500 lists funding only through a trust and/or from general assets and one or more Schedule As are attached even though they did not specific the plan was funded by insurance. Plan sponsors juggle lots of different responsibilities related to ERISA compliance. And the trusted advisors they partner with to help with managing the ever increasing complexity of the tasks are challenged with their own burdens with the changes to their industry. But by taking a minute to stop and double check your Form 5500 Schedule A’s, C’s, H’s and I’s, you could possibly save yourself the headache of a DOL audit. How to prepare your health & welfare plans to avoid costly fines, penalties & lawsuits. If you liked this, please share it with others! Peter is the founder and President of ComplianceBug. A veteran employee benefits consultant, third-party administrator and brokerage firm executive, Peter has spent his career helping clients and advisors improve group benefits compliance. Peter writes about HR and employee benefit technology as well as practical, easy-to-implement solutions to avoid fines, penalties and lawsuits. 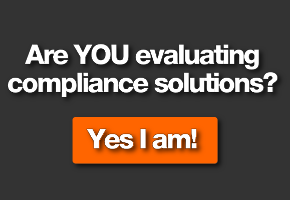 We make HR & Benefit compliance for employers easy, affordable and reliable. Learn the 51 essential things health & welfare plans are required to have to survive a DOL audit. Do you know the 51 essential things employers need if audited or sued? Learn what's required to prepare health & welfare plans against costly fines, penalties and lawsuits.